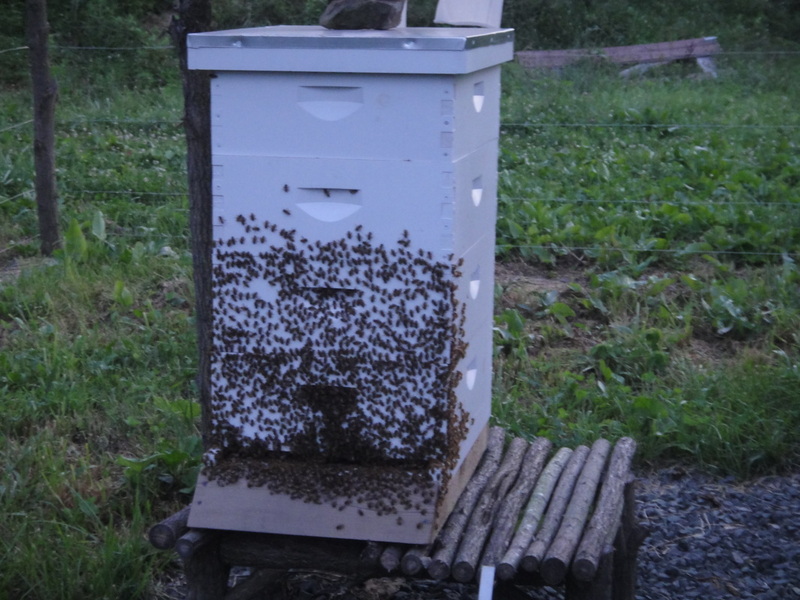 We harvested our first crop of honey summer 2013 and have been raising honey bees every since--losing some hives, starting new ones, but gradually growing our apiary. The honey is arguably the best honey we have ever tasted--friends and family have confirmed this. They are getting their nectar from honey locust, black locust, linden, orchards, and clover, all of which are abundant on our property and nearby. We do not spray chemicals on our land, and most of our neighbors do not, as well. The earlier honey is light colored and has a floral taste--from orchards and locust flowers. If we harvest a second time, the honey is from clover and has a distinct taste--super delicious! We keep the two flavors separate, and if available, you can purchase your favorite flavor. Please return lids/jars. Frequent buyers: after you purchase 5 jars, your costs are lowered to $15/quart from thence. Honey keeps very well without solidifying for a long time. If it solidifies, reheat over hot water (do not microwave). But it will re-solidify after cooling. It's actually easier to scoop out partially solid honey to use in hot tea and some people like it that way.